OTTAWA – Conservatives and New Democrats plan to continue questioning the government on the ongoing SNC-Lavalin affair when they return to Parliament Hill on Monday, as the testimony heard at the justice committee so far indicates that a line was crossed, opposition MPs said on CTV’s Question Period. 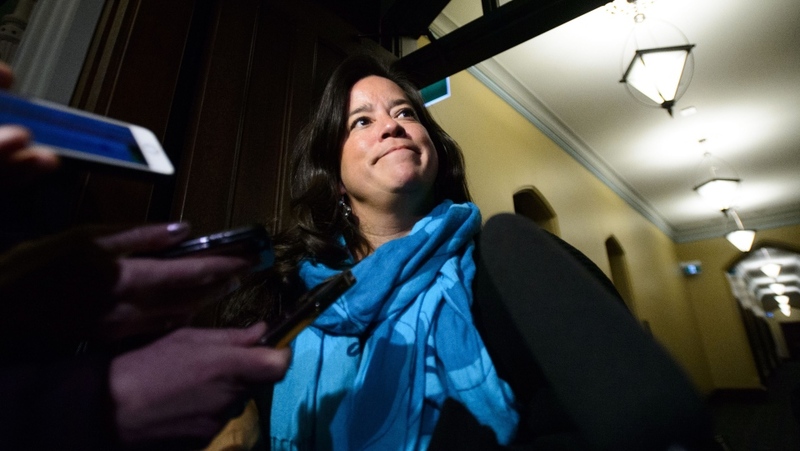 The evolving scandal is the subject of a study in the House Justice Committee that is set to reach a new level of attention this week when the former minister at the centre of the story, Jody Wilson-Raybould, testifies. Her appearance at committee is expected Tuesday at the earliest. Prior to that, the opposition day motion that MPs are set to debate on Monday will make a new attempt at getting Prime Minister Justin Trudeau to speak about the case. According to the House of Commons website, the motion deals with the “Appearance of the Prime Minister before the Standing Committee on Justice and Human Rights.” Two previous attempts to have senior PMO staff testify at the committee were unsuccessful, as was a motion to compel Trudeau to waive solicitor-client privilege and have a public inquiry launched. Citing unnamed sources, The Globe and Mail reported on Feb. 7 that Trudeau’s office pressed Wilson-Raybould to drop a criminal prosecution against SNC-Lavalin when she was attorney general. 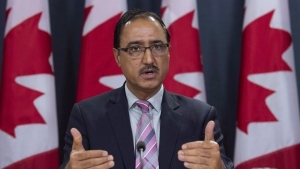 It was alleged that the PMO wanted Wilson-Raybould to instruct federal prosecutors to change course and pursue a remediation agreement rather than criminal prosecution in the corruption and fraud case against the Quebec engineering and construction giant. This is something she had the ability to do in that role, but she did not, despite several meetings and conversations on the matter after federal prosecutors decided to carry on with the criminal case. Months later she was shuffled into the veterans affairs portfolio, and was replaced as attorney general and justice minister by Quebec MP David Lametti. Wilson-Raybould accepted her new position, but then resigned from cabinet days after the story broke. To date, the government maintains that nothing improper occurred, though Trudeau’s principal secretary resigned over the matter on Feb. 18, denying any wrongdoing. Deputy Conservative Leader and justice critic Lisa Raitt said the testimony of the clerk of the Privy Council Michael Wernick at the House Justice Commitee on Thursday laid out the level of effort to have Wilson-Raybould reconsider her decision. Wernick, Canada's most senior bureaucrat, disputed the allegations. He said that while it's likely Wilson-Raybould could have felt pressured, those probing the matter will have to determine whether that or other conversations constitute as "inappropriate pressure." Raitt said she thinks it’s clear that it was improper. As Wernick argued, there is pressure on every decision made by a cabinet minister. Citing a conversation he had with Wilson-Raybould about the case, months after the prospect of a remediation agreement was rejected by federal prosecutors, Wernick—who has been a public servant under both Liberal and Conservative governments over the last three decades— said he did convey to her the "context" that: "There were a lot of people worried about what would happen, the consequences. Not for her, the consequences for the workers and the communities, and the suppliers." NDP MP and justice critic Murray Rankin disagreed. Liberal MP Marco Mendicino said that it is part of Wernick’s responsibility to bring to the AG’s attention any new information that comes to light around a legal case that may impact innocent third parties, like the workers for large corporations. Wernick predicted that Wilson-Raybould will, when she testifies, express concern with three events: A meeting she had with Trudeau about SNC-Lavalin, at which Wernick was present; a second meeting between PMO staff and Wilson-Raybould's chief of staff on Dec. 18; and a third phone conversation Wernick had with her on Dec. 19, which he classified as a check-in heading into the winter sitting of Parliament. Citing the multiple discussions with Wilson-Raybould from senior level PMO and PCO officials, CTV political commentator Tom Mulcair said that "Wernick admitted that he put pressure on Jody Wilson-Raybould full stop. That’s the starting point on this." "Whatever modifier Mr. Wernick or anybody else wants to put on it is not there. He’s not denying they put pressure on her, and he says ‘well I was just giving her context.’ Yeah sure,” Mulcair said. On CTV’s Question Period, Labour Minister Patty Hajdu was asked about the evidence and testimony that has come to light so far. She said that while she could not speak on whether or not Wilson-Raybould felt pressure, it has not been her personal experience when it comes to interactions with Trudeau or his office. Hajdu said she has had a number of frank and "vigorous" conversations on tough files and she has never felt "undue pressure." "Whenever I’ve had challenging files, whenever we’ve had difficult situations often times there are multiple conversations about decisions that will impact Canadians…. Because these decisions have such an impact," Hajdu said. She said she is looking forward to the outcome of the justice committee’s work, and the findings of the federal ethics commissioner probe before making any judgement on the situation.